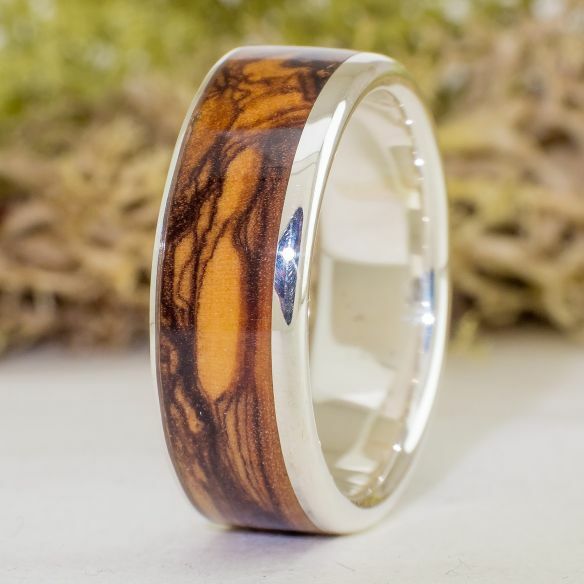 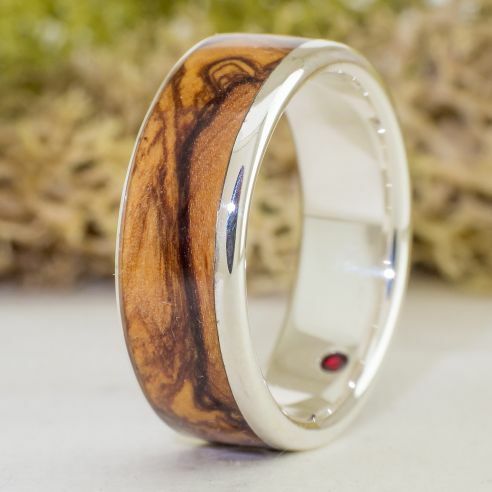 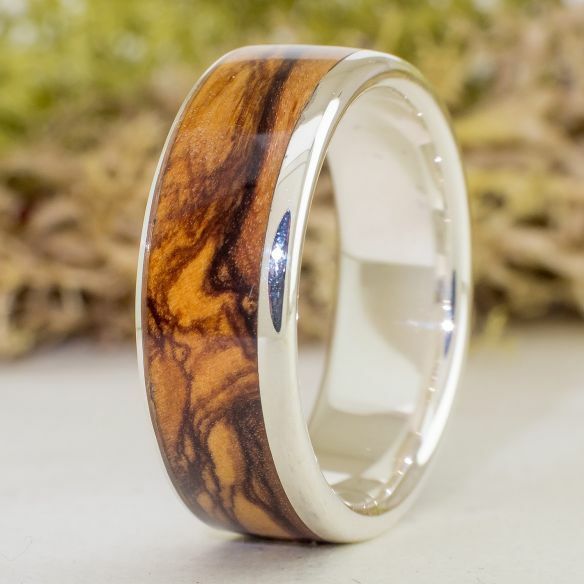 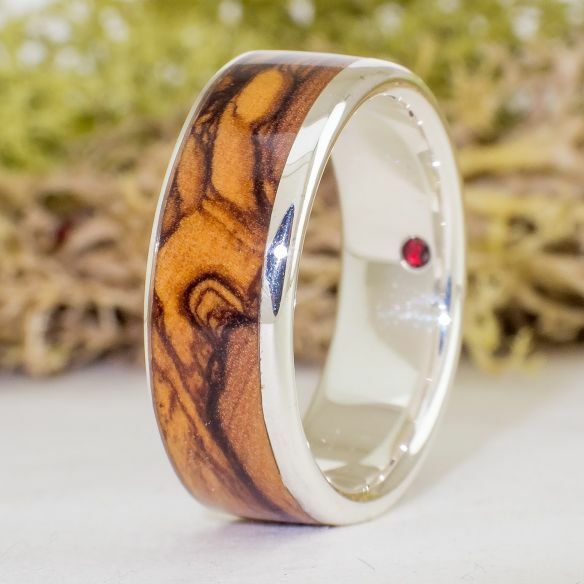 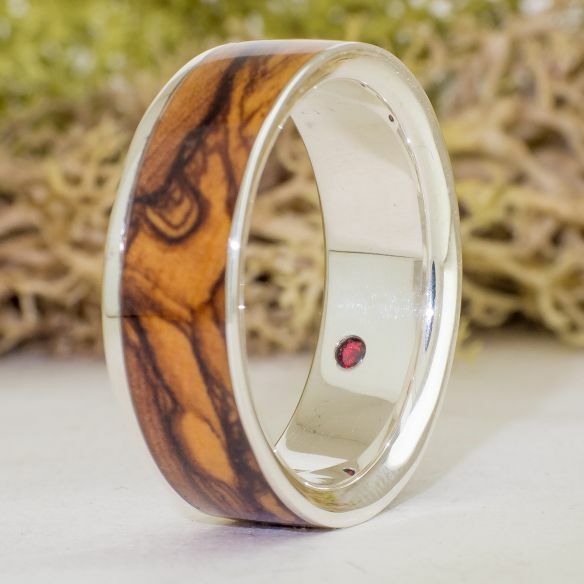 Ring made from a band of sterling silver and a piece of olive wood. Once cut, the wood is treated with natural waxes and resins in a vacuum chamber, which results in a waterproof product, dirt and bumps resistent. 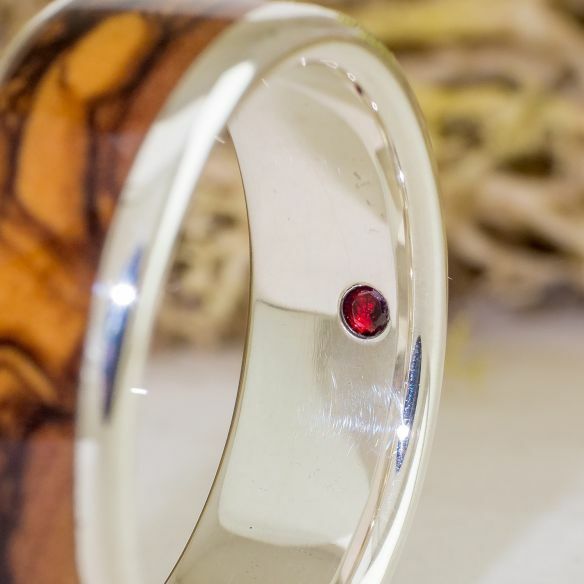 It includes a 2mm garnet inside.